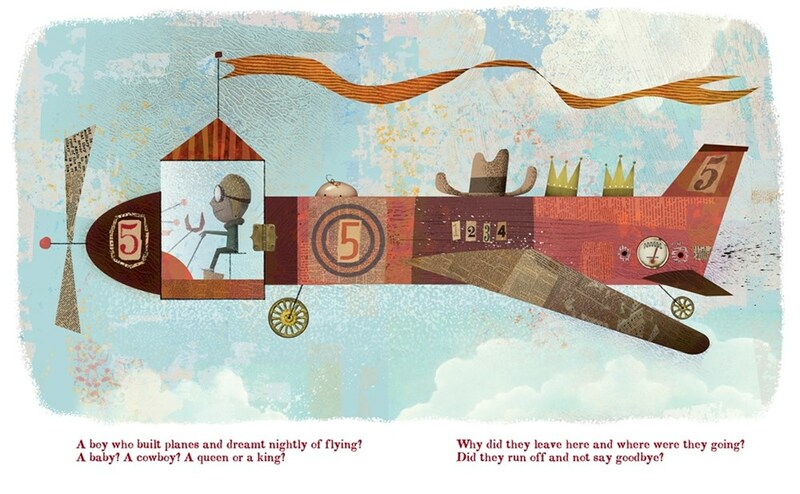 Let's talk Lane Smith and Molly Leach! LTPB: Lane, how did you come to be the illustrator of A House That Once Was? When you received this manuscript, what about it drew you in? LS: “Drew you in.” Is that an illustrator pun? Molly and I used to live next door to Books of Wonder in New York City. It was, and still is, a great children’s book shop. I used to spend a lot of time in there perusing the shelves. 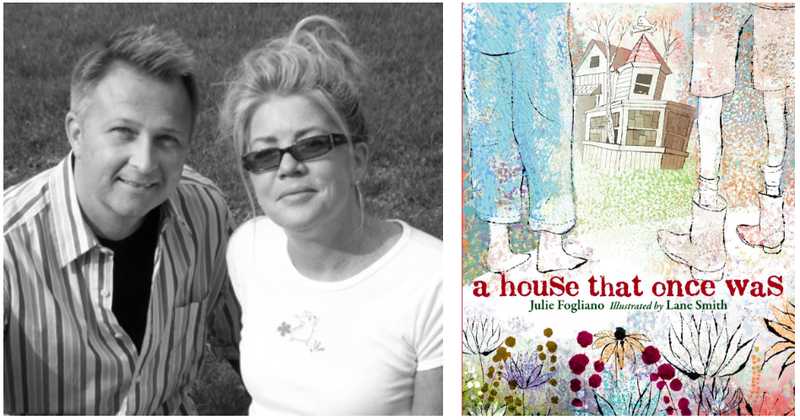 Some of their employees back in the day were Nick Bruel, Erin Stead, George O’Connor and Julie Fogliano. Quite an all-star team of future kid’s book creators. Over the years I've admired Julie’s books. Her rhymes are like Chuck D crossed with Bob Dylan crossed with Ruth Krauss. It’s not just poetry, it’s beyond that. Very unique. I told her if she ever came up with something she thought might work with my illustrations to send it my way. Not too long after that suggestion her kids found an old house in the woods near where she lives in the Hudson River Valley and that encounter inspired her to write a story about it. We went back and forth, emailing, until the concept felt right, then I started to think about imagery. It was a challenge because you don’t want the house to look too derelict and dangerous, but you still want it to be interesting, like a playhouse. 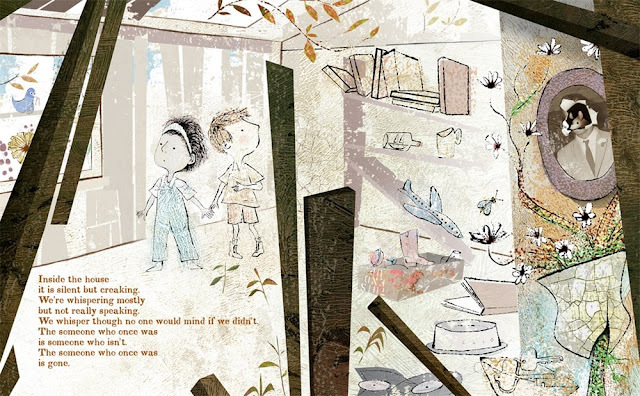 You also want to put enough objects in the house to make the illustrations intriguing, but not so many that the reality becomes overwhelmingly sad with things left behind. It should be an adventure. I also wanted the kids to respect the property; even though it is abandoned it was someone’s home once upon a time. That’s why the only thing the kids take from the house is an old tin can that they use for wildflowers. Julie was gracious enough to let me add a little visual subplot of a bluebird. In old fairy tales, sometimes there was a bluebird symbolizing good luck and guidance for lost children. I added a bluebird who at first we believe is leading them to the house, but is actually keeping a close watch on them because as we find out later, she has her nest of babies there. 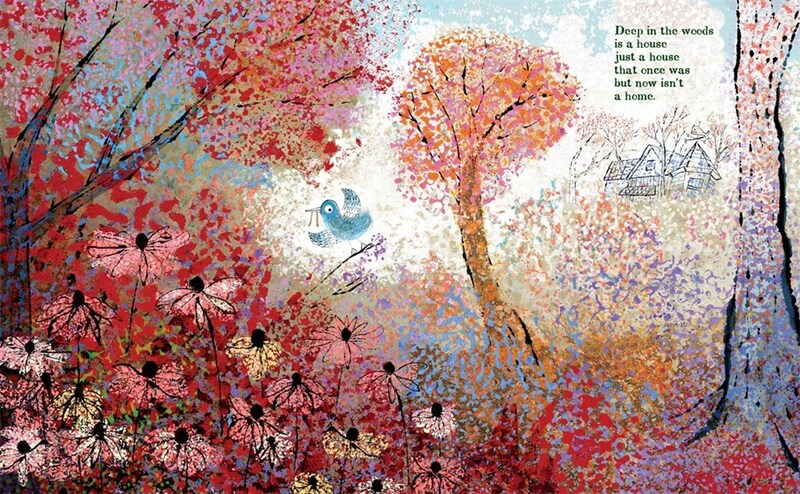 LTPB: Molly, I assume as the designer you choose things endpapers, dust jacket textures, fonts, etc? As someone who has designed many, many books, what is your process like for keeping each one distinct? For A House That Once Was, what is your favorite detail? ML: I do all of that stuff. Each book is distinct design-wise because each book is distinct. I think my favorite detail in A House That Once Was is the typeface I selected. It’s decrepit, like the house. 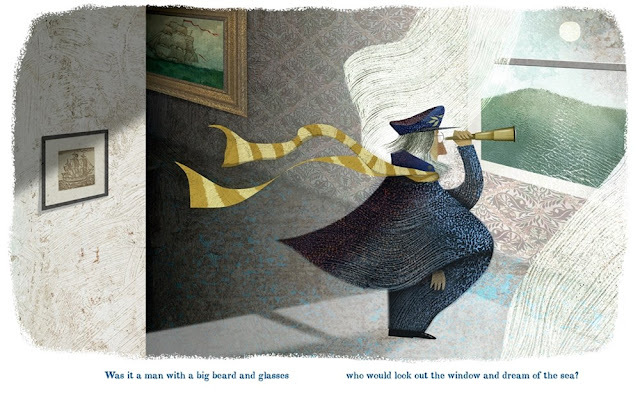 LTPB: Let’s talk about the illustrations in this book, because there are at least two distinct styles! Lane, how did you create them? And did you know from the moment you had the manuscript that you’d want to illustrate it in two distinct styles? If yes, why? If no, what changed your mind? LS: I can’t recall how the two styles came about. Usually these things just happen organically as you do the book. There could be many ways to separate the two worlds of the story (the real world and the imagined world). One could do it with typography or with a difference in page design layouts. But at some point I decided to do it with a difference in illustration styles. I knew I wanted the real world to be drawn in ink line with the kids portrayed more realistically. 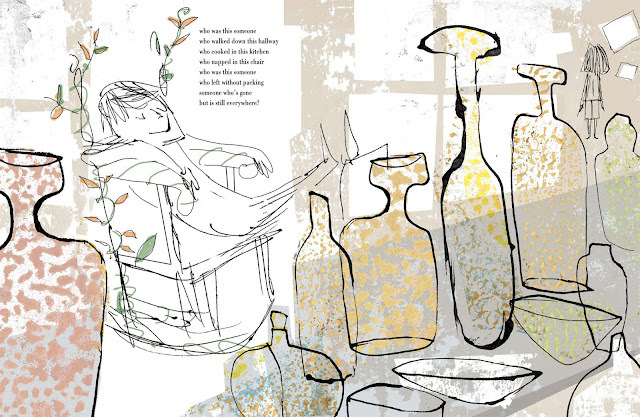 I was also studying the old Caldecott winner Sam, Bangs & Moonshine by Evaline Ness. I loved the way she had a washy line with sophisticated one-color textures underneath. I also liked the line Andy Warhol achieved back in his illustration days. It was similar to Ben Shahn’s linework (another favorite of mine). I started researching how they got that blobby look, and I went to a show at the NY Public Library of Warhol originals. Turns out this effect was achieved by drawing on vellum, which is a non-absorbent paper and while the ink was still wet, pressing it into watercolor paper which is very absorbent. The line becomes a kind of relief line and sometimes the ink goes all over the place. To me it looked a little like something a kid might learn in an arts and craft class. I did the linework that way and painted oil gesso textures to go underneath. 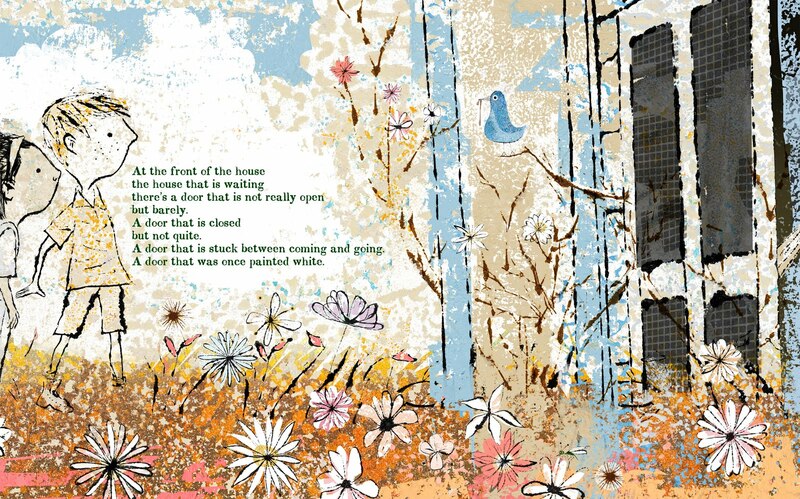 Then, when the kids in the story are imagining the lives of the house’s inhabitants I did full, rich oil paintings that I manipulated digitally in Photoshop so there would be a stark contrast between them and the light, airy ink drawings. This is probably too much information, but you asked! LTPB: Molly, you started as a magazine designer, so why do you think your background in magazines makes you such a strong children’s book designer? ML: Probably because I didn’t have any experience with children’s books so I had no preconceived notions of what was considered right and wrong. I didn’t talk down to the kids and came at their books as if I were designing a magazine for adults. The Stinky Cheese Man was my first big book, and they tell me I broke all the rules. Which was perfect for that book. Like the art and text, the design was turned on its head. There were upside-down pages and type traveling all the way to the edge of the page. The idea was to fill each page with type and art no matter how many words and go straight to the edge for a hyper kinetic feel. Also, that book was pre-computer so I had to do everything by hand. I chose a classic font (Bodoni) and used it in unusual ways to emphasize the fact that these were classic fairy tales told in unconventional ways. In later books like Lane’s Glasses (Who Needs ‘Em?) I designed the type on the first page to look like an eye chart. In Lane and Bob Shea’s book Big Plans I pleaded with the publisher to allow us make the book oversized. Because, you see, he’s got BIG plans! Everything is BIG about that book! So, the story drives the basic design and the rest, like the ends and jackets, follow suit. You just try to mix it up. It’s a Book used two fonts that reflected the different personalities of the characters: one traditional, one modern. LTPB: You two have obviously worked together a lot, so what are your processes like? Do you find yourselves working separately a lot, or do you tend to work together? LS: We work together, but separately. We go back and forth a lot but in separate studios. I’ll email her an illustration, and she has me adjust the composition to accommodate the type. Then I might come up with an idea where the type might fit better into the art, and she’ll top that with some other idea. It’s a constant process. Molly never gets her due. She does half of the work but most readers (and even some people in the business) have no idea what she does. I can’t imagine working in a traditional way where I do the entire book and hand it over to the publisher, and they lay the type in at the very end. ML: And we rarely argue about fonts. LS: Yes. We rarely argue because I always back down. She knows that stuff up and down. Although I have to admit she sometimes surprises me with her choices. She often comes up with a font I would not have thought of, then when I see it elevate my illustrations I couldn’t imagine the book with anything else. It’s funny, with A House That Once Was, Molly used the same 18th Century font that she used in John, Paul, George & Ben yet she made it a different color on each page, and it sort of looks like the type was done with rubber stamps or some other handmade technique which is perfect for a book about found objects and faded memories. LTPB: What are you each working on now? Anything you can show us? 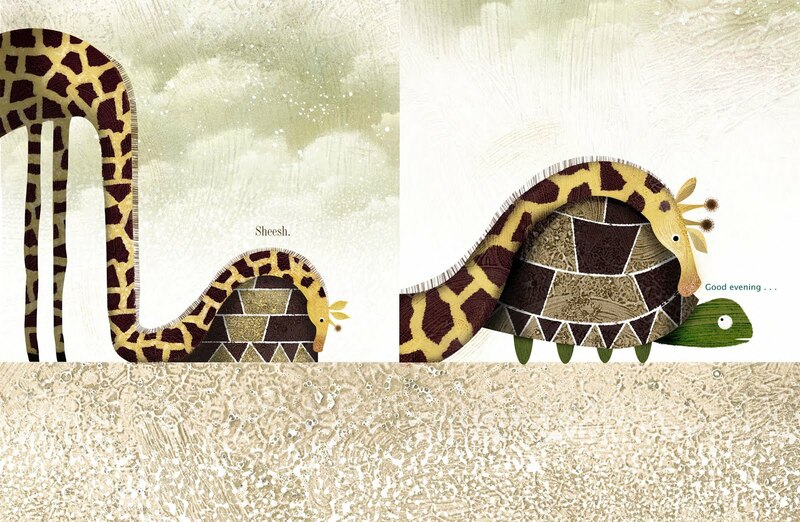 ML: With Jory John, we made a sequel to Penguin Problems called Giraffe Problems. It’ll be out in September. It’s really funny. Jory is a hoot! LS: Also, we just finished working on a book written by Dave Eggers. Comes out next year I think. The words are beautiful and funny. LS: The Provensens. They were my favorite illustrators. I aspire to be like them. Everything they did had a lot of experimentation going on. I love the textures they achieved. My favorite illustrations of theirs were in Aesop’s Fables. When they did a book it was like they were casting a part for a movie. 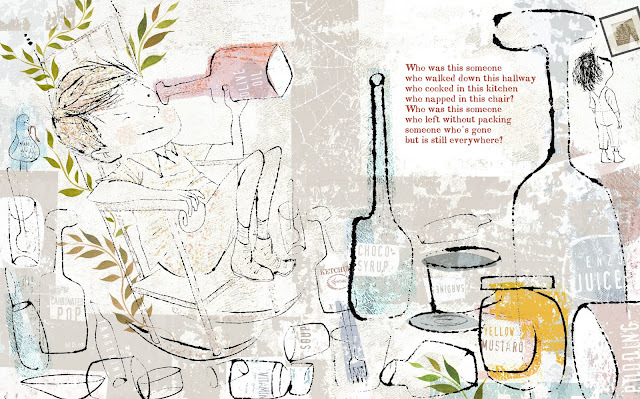 Each subject matter was different so all of their books were illustrated in a style appropriate to that particular book. Yet, they were all still clearly Provensen books. You always knew it was an Alice and Martin book. ML: I think I would pick someone like Sergio Ruzzier or Bob Shea. They would turn me into a skunk or a hedgehog or something. LS: Ahem! I can draw a hedgehog. ML: Are you still here? It was so exciting to talk to such a collaborative (and fast-talking!) 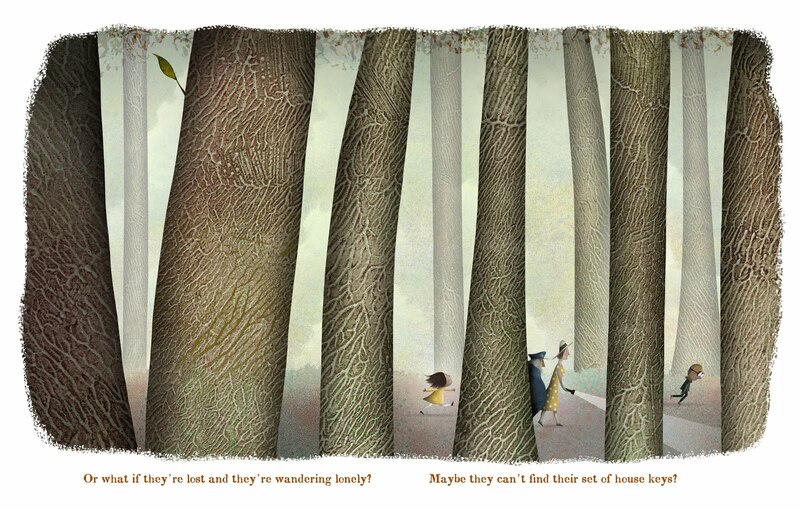 illustrator-design team, so THANK YOU Lane and Molly for chatting with me! 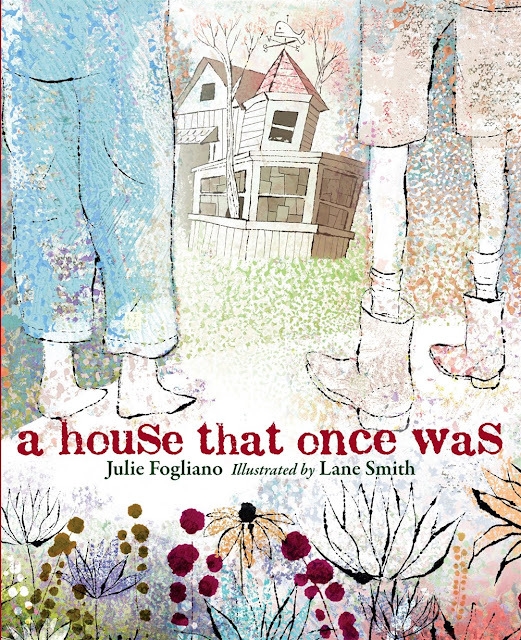 A House That Once Was published from Roaring Brook Press last May! Special thanks to Lane, Molly, and Roaring Brook Press for use of these images! Mel's personal collection of It's a Book from around the world!